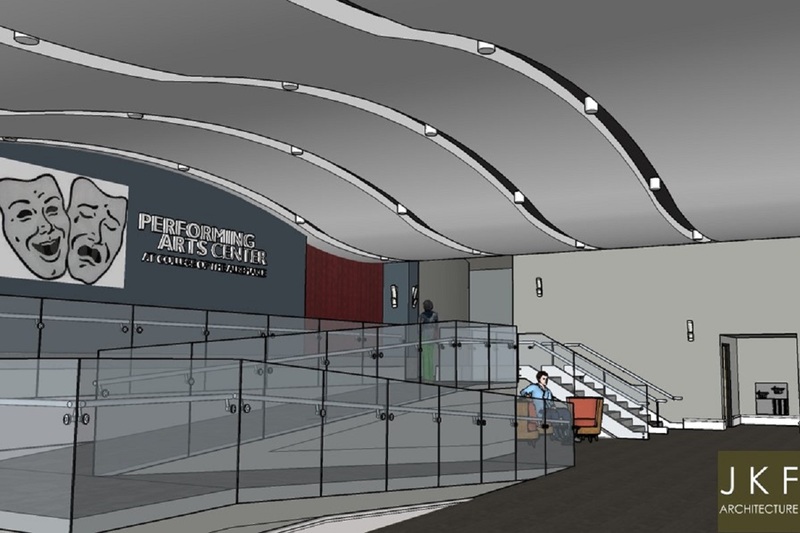 JKF ARCHITECTURE was selected by College of The Albemarle to provide architectural design and engineering services to renovate the lobby of the existing Performing Arts Center (PAC) located on the Elizabeth City Campus. In addition to supporting the College population, the Center also serves a hub for the Performing Arts in the greater Elizabeth City community. 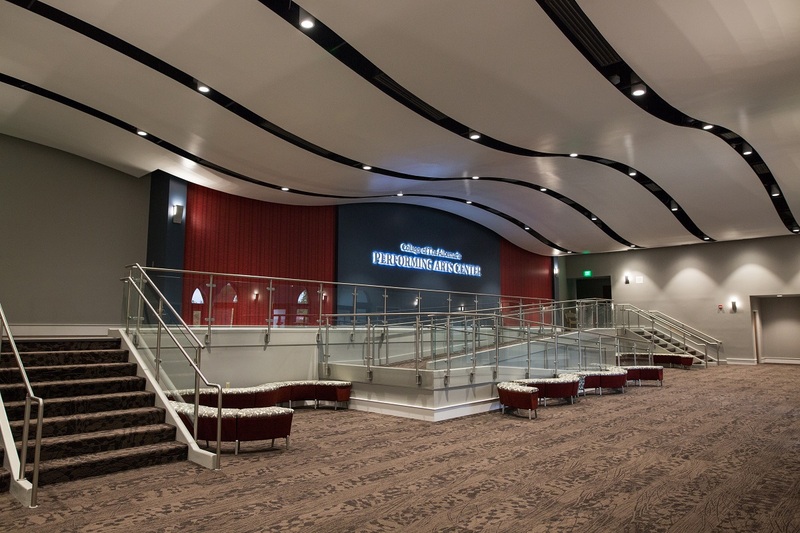 College of The Albemarle’s PAC is a proscenium house that seats approximately 1,000 guests. The project scope included modernization of the existing lobby and foyer, including ceilings, walls, and flooring. In addition, the building was brought up to code with the installation of a new handicap ramp that featured prominently into the final aesthetic deliverable. Additionally, JKF ARCHITECTURE designed a new ticket booth in the existing foyer to support operations and enhance the visitor experience.